Subject: What Is Hulu's Stock Price? 4 × nine = Required Please enter the correct value. With the streaming industry growing to reach 232 million users, many investors are wondering what the price of Hulu stock is. However, Hulu is a private company and is unavailable on public stock exchanges at this time. While Hulu isn't a public company yet, there are still plenty of profit opportunities available in the online streaming industry. Today, we'll show you how you can take advantage of the immense profits coming from the streaming industry, as well as how you can even invest in Hulu before it goes public…. Fortune says that Hulu explored an initial public offering in 2010, but Wall Street pushed back at the idea. At the time, the company streamed its content for free and had no monetization plan in place. Hulu ended up abandoning the idea. However, there is an indirect way to get a piece of this streaming juggernaut. 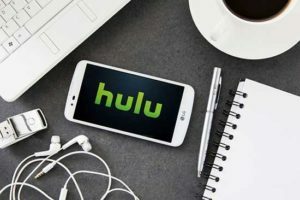 Three companies each own 30% of Hulu – Walt Disney Co. (NYSE: DIS), Comcast Corp. (Nasdaq: CMCSA), and Twenty-First Century Fox Inc. (Nasdaq: FOXA). As of August 2016, the final 10% is owned by Time Warner Inc. (NYSE: TWX). By purchasing shares in any of these media titans, you can own a piece of Hulu. However, this is far from the best profit play. While these four companies dominate the media landscape, they are projecting modest gains over the next year and won't get close to generating the returns on deck with our profit opportunity. In addition to playing off the strongest Internet streaming companies, our pick incorporates smaller tech companies that are looking at tremendous growth and profits over the next year. Statista reports that in 2018, 85% of Internet users in the United States will watch videos online. The number of people that watch digital videos in this country is expected to reach 232 million by 2020. And according to Pew Research, six in 10 adults in the United States are turning to streaming video services for their television needs. 24% of Americans are forgoing cable providers and many term themselves "cord cutters," meaning they have left cable behind in favor of video-streaming services. In an effort to take advantage of these immensely profitable trends, we've identified an investment strategy that allows investors to invest in the top public streaming companies with a small upfront cost. Unlike mainstream streaming companies like Netflix Inc. (Nasdaq: NFLX) and Amazon.com Inc. (Nasdaq: AMZN), this investment opportunity is trading for under $100, which means you can control more shares for less money.